Thank you for your interest and stopping by. 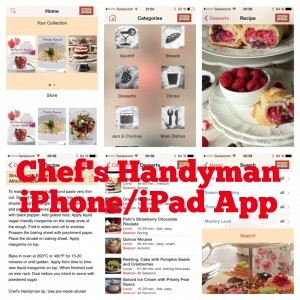 Have you already downloaded the Chef’s Handyman iPhone/iPad app? The app can be found in Apples app store. If you like the content of this food magazine than you might love the app as well. 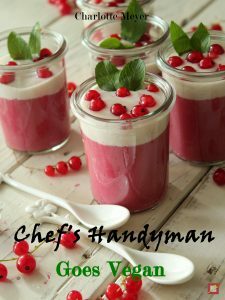 The Chef’s Handyman app is a free trail app with free recipes. From time to time new recipes will be integrated. You will find a note published in the magazine, when a new free recipe can be downloaded into the app. There are also cookbooks included. 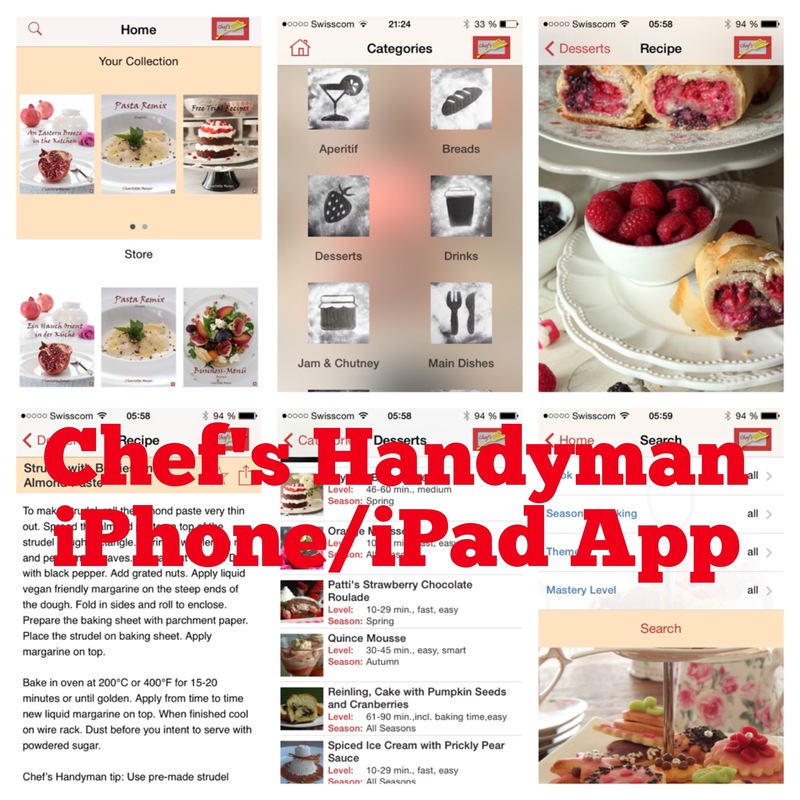 Additional cookbooks can be bought within the Chef’s Handyman app. A vegan cookbook is still in production. Please have a try. Your feedback will be highly appreciated. The new cookbook ‘Chef’s Handyman Goes Vegan’ is now available. The e-book can be downloaded within the Chef’s Handyman App. The cookbook can be used offline as well. Therefore, the book must first be downloaded. Please make sure, that your connection is stable. Some of the recipe within the free trial book had to be move to other books for more space of new recipes. I loved your cookbook! Fabulous recipes and beautiful illustrations! I’m flattered. Thank you so much. Well, it’s a lot of work behind.